Draw Something to become a celebrity-laden, C4 game show called Draw It! 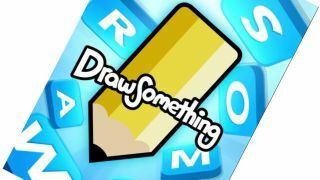 The hugely-popular Draw Something mobile app is about to take over our television screens with a tea-time game show on Channel 4 called Draw It! According to a report from Marketing Week, the new show will feature two teams, made up of a celebrity and a member of the public, who'll attempt to win gold coins and cash prizes by drawing out clues. To round off the show there'll be a nail-biting final round against the clock where the celebs will team up with the winning contestant, while viewers will also be able to play along at home. Draw It! will be produced by Victory Television after the broadcaster struck a deal with international rights distributor Sony Pictures Television, which is licensing the game from social gaming kingpin Zynga. The deal will bring in some much needed cash for Zynga, which owns Draw Something after paying an estimated £117m to acquire its developer OMGPOP last year. The Pictionary-inspired (to put it politely) was a huge hit during its peak around a year ago. The game, which allows cross-platform play over Facebook, iOS and Android, was downloaded 35m times in around six weeks following its launch, convincing Zynga to stump up the big bucks. Its popularity has waned in the last few months, but that didn't stop Zynga selling the rights to Hasbro for the board-based version of the game. Channel 4 has not stated when the show will begin to air, but it's going to have to go some if it wants to challenge the king of all tea-time quiz shows The Chase on ITV.